The watch has a black dial and ecru lume. The watch is expected to retail for about 8,900 Euro. The rose gold version will retail for 23,100 Euro. No release dates as yet. I like the watch. 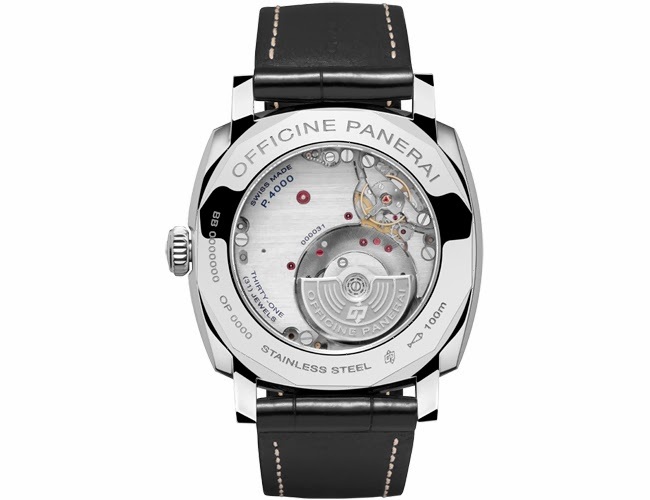 The watch will feature a new Panerai caliber in the caliber P.4000. I love the movement. It is a automatic movement and the cherry is the use of the micro-rotor. 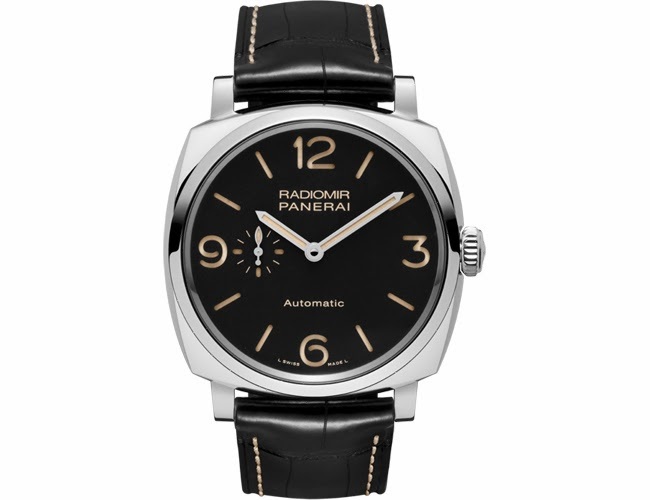 This makes the movement thinner, allowing Panerai to introduce it's first 1940 Radiomir with an automatic movement. The P.4000 is an in-house movement and has the following functions: Hours, minutes and small seconds. It is 3.95mm thin and 31mm in diameter. It is made of 203 parts and 31 jewels. It beats 28,800 bph. Power reserve is 3 days. There are two version, a tungsten rotor and a gold rotor for the gold version of the PAM00572 (reference still unknown). 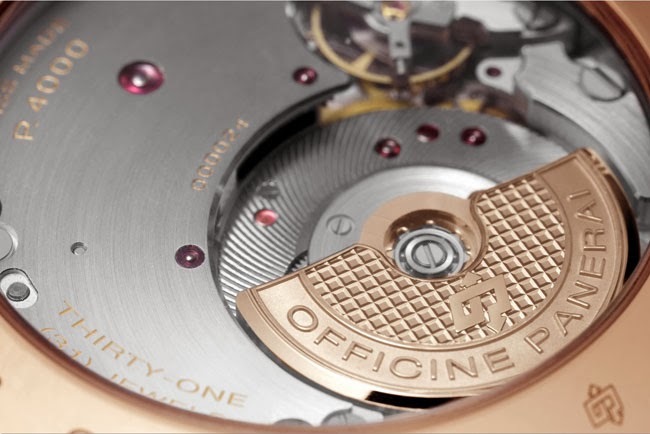 The micro-rotor is off-center, assisting in making the movement slim.